OLD PARKED CARS. : 1960 Chevy Corvair 700 and Noah. 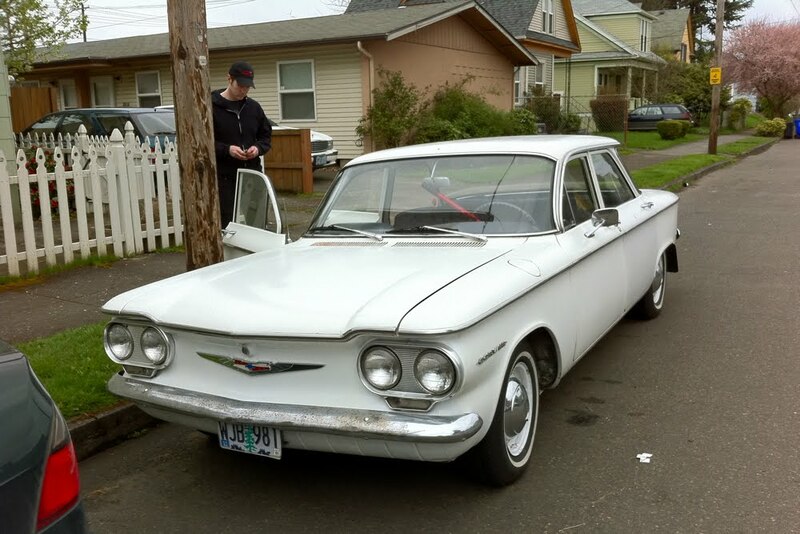 1960 Chevy Corvair 700 and Noah. 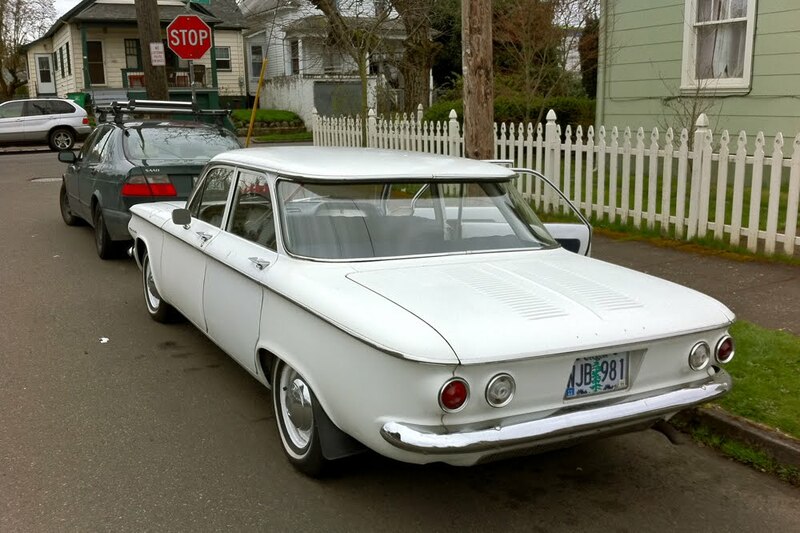 Ah, the infamous Corvair, whose rear swing-axle suspension was targeted by Ralph Nader's 1965 pro-regulation book "Unsafe at Any Speed". Interestingly, many Porsche, Volkswagen and Mercedes-Benz vehicles of the same era had similar setups but none of the problems, political or otherwise. I haven't been this seriously tempted by an American car before. The perfect size, perfect number of doors for the fam, and about as much style as I can imagine finding for this no brainer price. 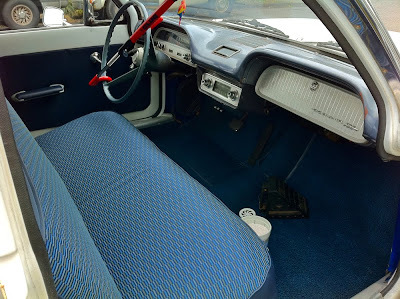 $2000, newly done upholstery by his wife, and possibly getting a paint job if it doesn't sell soon. 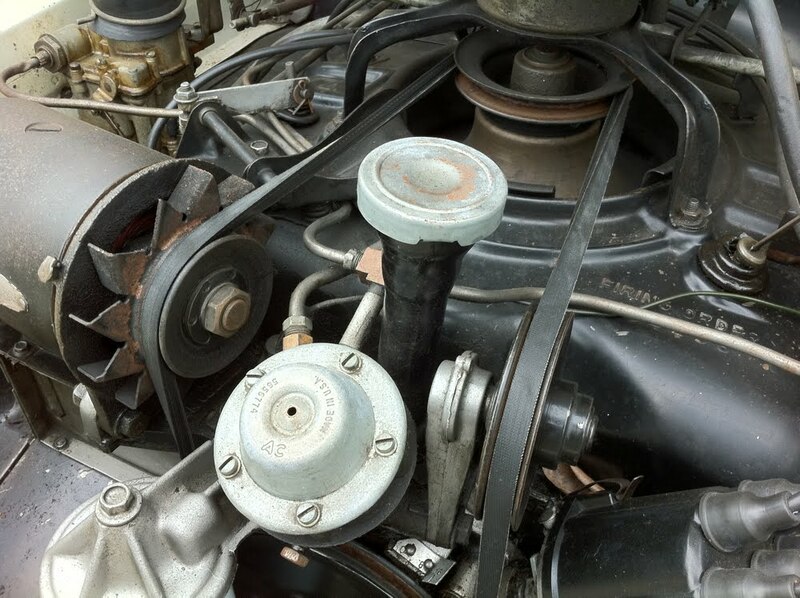 I believe he said the original engine had been rebuilt, gets 30mpg unless the gas heater is on, and is great to drive apart from that one crazy belt. lol @ the club on the steering wheel. 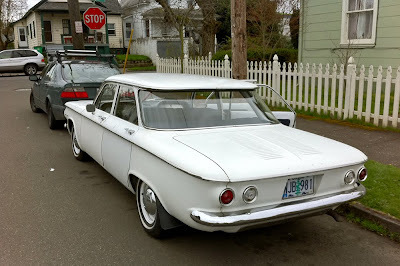 I love the 1960 Corvair. 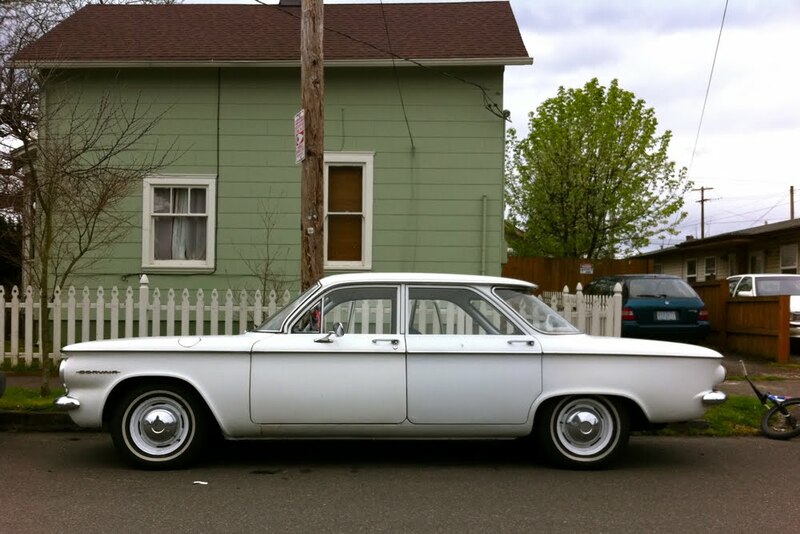 Specially a white automatic 4 door one like the one we had in 1960. The happiest times of my childhood. 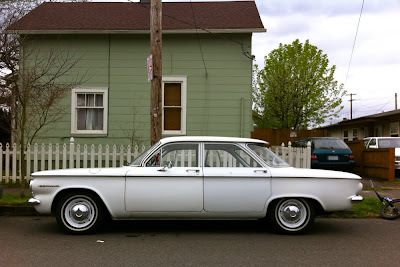 That is the car I learned to drive in. We bought it new. My dad hated it. He was a Caddy person. Eventually after being owned by my aunt, she sold it to me in 1966 for 200 bucks. By then it had multiple dents in the front and the engine had new head gaskets and all the usual. I also had to put a new muffler. BUt I loved it; it was my first car. I didn't care how uncool it was. It was MY CAR. I wish I had kept it.